I really feel like Superwomen this morning. Why do I feel like superwomen? Because my kids ask to do school work again. 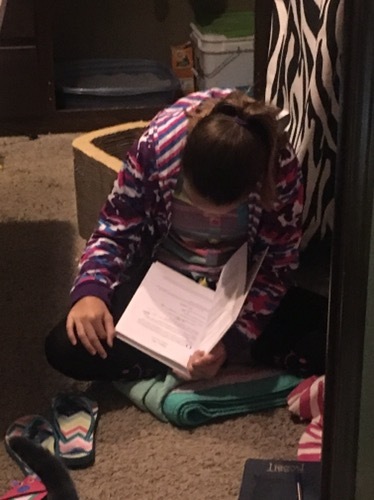 That’s right folks, my child actually said, “Mom can we start doing our school work on Monday?” Trust me I was as shocked and sat there blinking not believing my ears. I know what you are thinking, If you’re an Unschooler you never stop doing school. Yes, you are correct we do school all year, 365 days and never stop learning. During the summer we take a mini break from doing math, typing and spelling, and science experiments. The girls come up with a game plan of what interest them. Then we figure out how to incorporate those into our everyday lives. 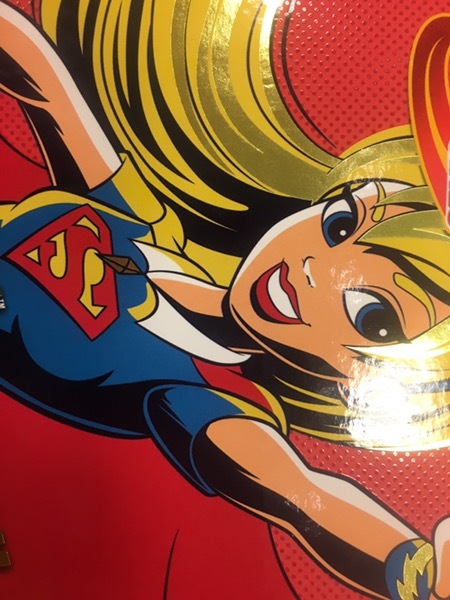 Picture is a book the girls read, “Super Girl High”. During the summer months, we have been reading every night, going to a museum, national parks, zoo, etc. We get to play with friends because that is the time when normal kids are out of school. We take a break from doing TTRS (touch type read spell) and doing Life of Fred (math). The girls also love doing crafts but we took a break from doing those things also. 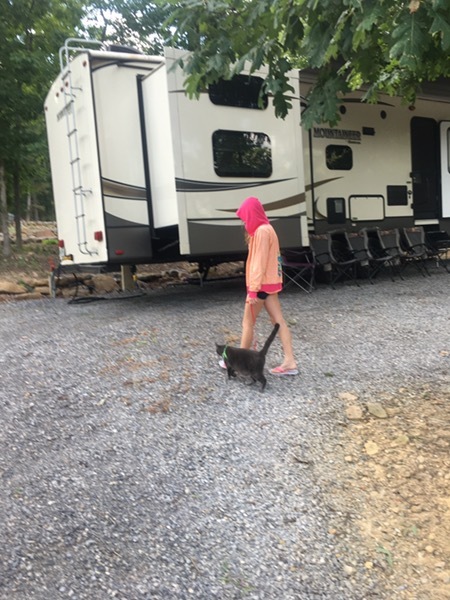 The main reason we talk a break is because we like staying in state parks during the summer and most of the time they do not have the internet. The girls and I sat down and they told me what they wanted to work on and how they were going to accomplish said tasks. Those die hard Unschoolers would say we are not real Unschoolers because we use a curriculum but I say BAHH. My youngest, Huggs, want to be an Imagineer for Disney, and what she really wants is to design rides at Disney. My oldest, Munchy, wants to design clothes and go to Paris for fashion week, her main goal is to have a runway show in Paris or New York or both. We set up an ultimate goal and then discussed what they needed to learn to make those dreams become real and then they came up with a game plan. 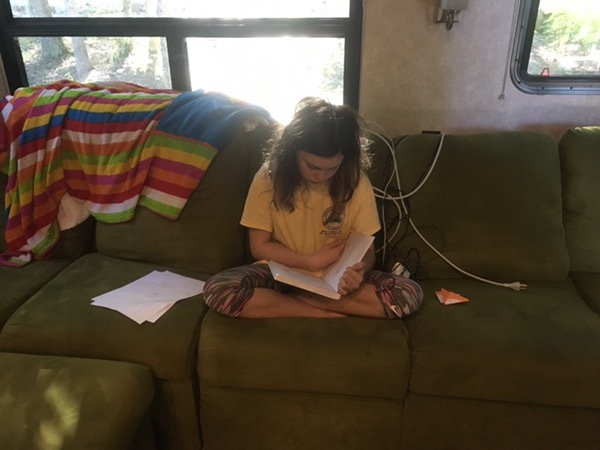 She will do Life of Fred every morning with maybe two days off and TTRS (touch type read spell) to work on her spelling, reading and typing. Huggs wants to learn a language this year, Norwegian, but I am trying to talk her into learning French. She really wants to go to Norway someday. Huggs and I will take a Jewelry making class, beadvideos.com once a week or once a month (not sure), and work on our online store. She also wants to work on making doll furniture, clothes, and crafts. She thinks her spelling, reading and math need a little work. Munchy will be doing Life of Fred every day with maybe a couple breaks here and there, and TTRS (touch type read spell). She is currently taking a sewing class and a fashion course online. Munchy would like to finish those courses and design and make a whole outfit from start to finish. She would also like to take French because she wants to be able to talk to her cousins and understand them. My advice is to ask your kids what they want to be when they grow up. Go over what they need to learn to accomplish those dreams then come up with a game plan. Yes, your child might change his mind tomorrow or next week, and that is ok. Just readjust your goals and you never know where they might lead them. Good luck and tell us your goals this year and maybe it will inspire others. 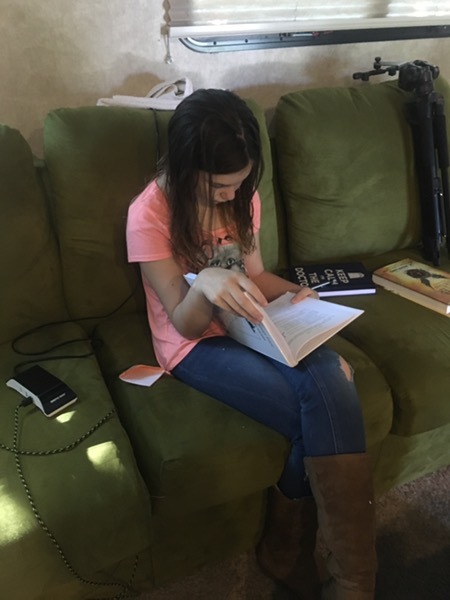 This entry was posted in Unschooling, Unschooling FAQ and tagged disney imaganeer, fashion designer, language arts, Math, plan year, science, super women by Chrissie. Bookmark the permalink.